Today was a funny day. I thought I’d written a lot more during the day than I had – around 600 to 700 words was my guess, but it ended up being just 402 more words for the Time’s Arrow story about an alternate Agincourt. But at least the words flowed pretty well and I was generally happy with them. Also I feel that I’m nearing the end of the story, which is a good feeling. I also did a bit of thinking about the next story – it might be called Broken Lance and will have some basis on the grail legends and a fantasy Morte Arthure feel about it – I think! Other activity included located primary sources for the next section of Stonehearted, the sequel to By the Sword’s Edge. I’m getting copies of Medieval chronicles that relate the events of the Pontvaillan campaign of 1370, which is the setting for the story. Praise be to archive.org! Not quite finished Sweet Justice and read second chapter of Feast of Crows – loved the third new setting and set of characters – Sand Snakes awesome and very evocative! Inspired by Dean Wesley Smith’s posts Writing in Public, I thought it would be cool (and possibly motivating for me) to write regular updates on my own daily writing, and general publishing and reading experiences. Really what a blog was about back in the day – an actual diary of what I have done each day and collection of my thoughts. So here goes on Day 1! I’m currently finishing off a short story called Time’s Arrow. It’s an alternate history piece set in 1415 at the Battle of Agincourt. I’m planning to send it out to magazines when it’s finished to see if I can get it published in a pro market. If not I’ll self-publish it myself. I have been struggling with it a bit and had quite a long hiatus, but recently I have worked out a way to get back in the groove. One of my main writing problems is finding enough time. Usually the only realistic slot I get is first thing in the morning, but if I am too tired to get up at 6 am I have a problem. Writing in my lunch hour at work is problematic. I don’t feel comfortable sitting and writing fiction in an open plan office. There’s a park nearby, but sometimes difficult to get a bench to sit on and scribble. The alternative that I came up with last Friday was to just use my iPhone. Specifically I’m using the Pages app and just adding to a Word document on that. Initially I thought this was madness, but it’s actually working quite well. I tend to go quite fast when I’m writing so can quite easily knock off 100 to 150 words or so in 5-10 minutes, which is about the time it takes for Outlook to load in the morning or while I’m waiting for a tea to brew. About 3-5 sessions of that a day and I’m easily at my daily goal of 500 words a day. So that’s what I did today. 3 sessions and that took me to 562 words. I’m near the end of the story I think – just over 4,000 words so hopefully I will finish it this week – it’s been hanging around far too long! Working out why Alt Hist 2 is listed at the price of $2.99 on Amazon and not $6.99. Turns out I mistakenly put it up on Google Play at $2.99 ages ago. I have now since rectified the mistake, but will probably take a few weeks for Amazon to change. Followed a few people who followed me on Wattpad and sent them messages. Started on Feast of Crows. 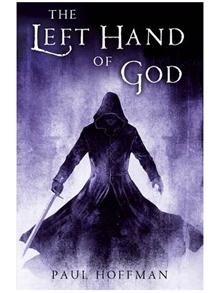 Enjoyed the prologue and the first chapter – both with new characters which was a bit strange to start with. I haven’t read from this series for a while so I was looking forward to being reacquainted with old favourites. That will happen soon, I’m sure. Aiming to finish reading Sweet Justice (a collection of Judge Dredd short stories) later this evening. 1. Snowflake method – stumbling across the snowflake method! 4. Novel Writing software – does specialised novel writing software help writers? It’s quite interesting for me to see what people are reading. 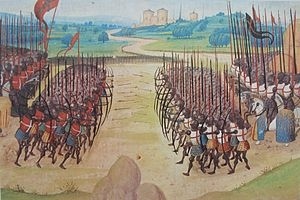 It’s fairly clear that readers of my blog are interested either in the content about writing techniques or the content I wrote when investigating the Battle of Agincourt.